Coming in to read this post means the title must have attracted you. And that actually means that you are directly or indirectly affected with the condition stated in the title. Are you someone who has recently quit smoking? If yes, then i will like to say congratulation, I will also love to assist you in restoring your health, after quitting the vice. As we know, smoking is an extremely unhealthy habit that people develop, and many of us may have already faced the repercussions of smoking too much, in the form of health complications. Smoking can infuse your body with harmful chemical substances. When a person smokes, his/her lungs are affected majorly, as they are filled with bad chemical substances. Naturally, the affected person may suffer from a number of ailments, such as, respiratory disorders, lung ailments, lung cancer, mouth ulcers, indigestion, erectile dysfunction, infertility, depression and much more. So, it is clear that smoking, especially for a long-term can definitely lead to the deterioration of your health. Therefore, it is important to take measures to get back your health, after you quit smoking. So, follow these health tips mentioned below to get your health back, if you quit smoking recently. 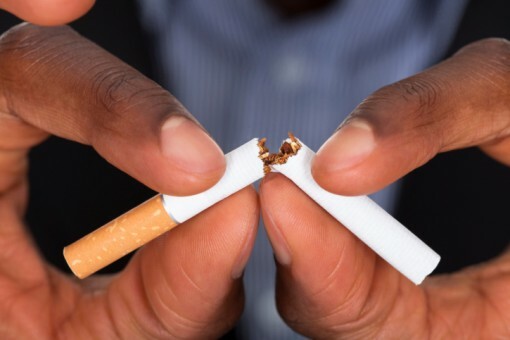 Tips to get your health back after you quit smoking include, making up your mind to steer clear completely off the habit, as smoking even once a day can come in the way of your journey back to health. Reports have shown that many people who quit smoking tend to experience a lot of stress and anxiety as withdrawal symptoms, so ensure that you stay calm and avoid stressful situations for a while. Another tip to get healthy after quitting smoking is to exercise on a daily basis, as exercising can strengthen your weakened respiratory system. Ensure that you consume a lot of fruits and vegetables, as they contain fibre and antioxidants that can flush out the tar and toxins present in your body as a result of smoking. If you want to avoid diseases after you quit smoking, visit your doctor for regular health screenings, at least for the first few months. Practice meditation and breathing techniques that can help you strengthen your respiratory system, so that you can prevent a number of respiratory ailments seen commonly in smokers. Ensure that you get lots of fresh air, by taking walks and staying in well-ventilated areas, as your weakened lungs will need fresh air to heal.